Use this link if you’ve never previously accessed password-protected TRSA resources. (If you have an active TRSA logon and password, skip to “Download Key Membership Benefits” below.) Input your e-mail address and the temporary password Password1 (must use CAP “P”). If this doesn’t work, you’ll receive an “incorrect e-mail or password” note. E-mail Meredyth Ellington (or call her at 703.519.0029, ext. 102), who will activate your e-mail address. When it works, you’ll reach the MyTRSA Web Portal, where you should change your password under “My Information.” Then come back to www.trsa.org and logon with your e-mail and password. If this combination doesn’t give you access to password-protected pages on the site, your company needs to be a TRSA member. E-mail Ken Koepper or call him at 703.519.0029, ext. 109. This PDF helps you make the most of your company’s TRSA membership for your own professional development. 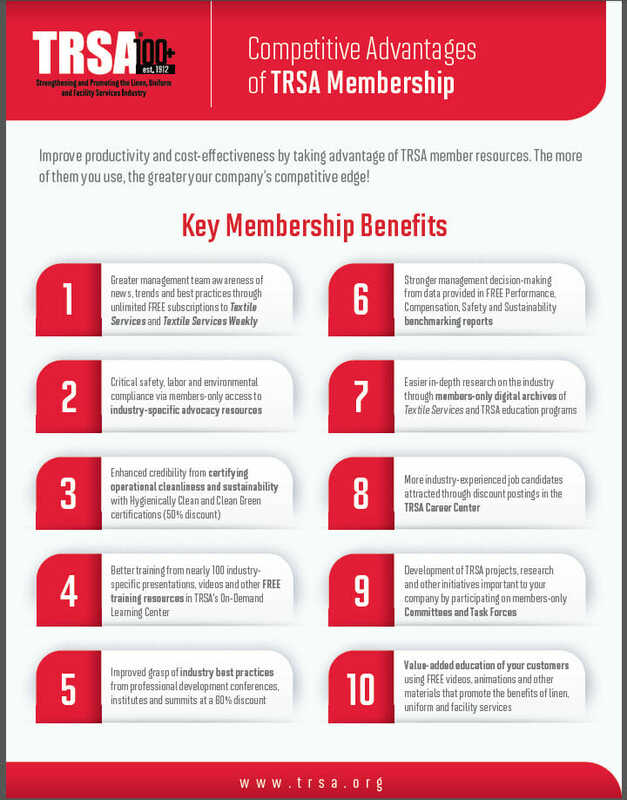 Keep this file on your computer or other digital device as well as a printout to easily take advantage of the range of TRSA member resources. This document contains links to webpages that describe this range of benefits. The more of them your company uses, the more its membership pays off. Most links in this document pertain to every management role in linen, uniform and facility services. Use this link to opt-into e-newsletters. 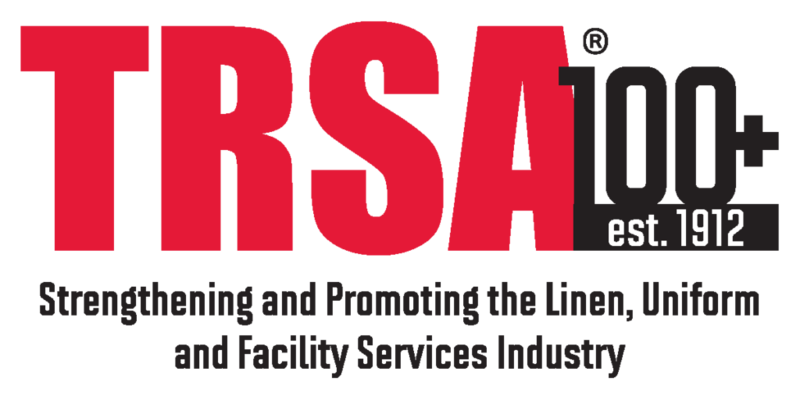 Once your logon and password are associated with your TRSA member company, you will automatically begin to receive the monthly Textile Services magazine. But please opt-into Textile Services online updates, including Textile Services Weekly, Textile Services Breaking News and periodic e-newsletters dedicated to linen, uniform and facility services for international, F&B, healthcare, hospitality and industrial/uniform markets.